Material: silver with a fineness rate of 950. 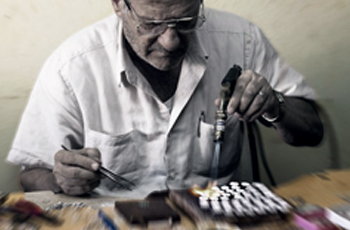 Suphi Hindiyerli who is among the great masters of Assyrian Filigree Art has been performing this art in Mardin for 55 years. Hindiyerli who is among the handicraft masters registered to the Ministry of Tourism and Culture held exhibitions in the Arab countries and USA. 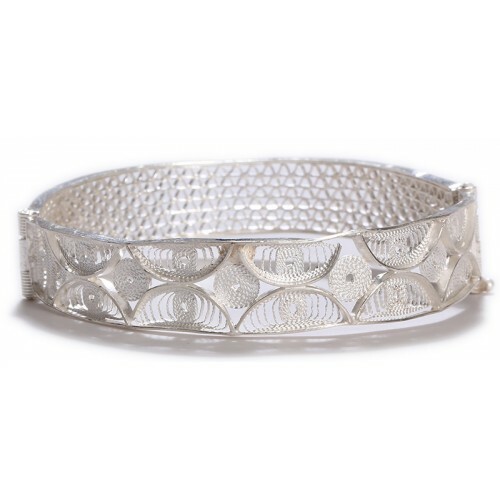 For him, the filigree art means processing silver just like lace, and that this handicraft can only be performed when one sets his heart on it. Hindiyerli who states that the production of a pendant would take half an hour, or in some cases days; says that the foreign visitors examined filigree products for hours and that they had difficulty in believing that these products were hand-made. Hindiyerli: “On a corner of each masterpiece I produce, I insert the word “Mardin”, because what is more important than the money I make is to introduce Mardin - my endless love – and my country to the entire world. It is a great pleasure for me to see a foreigner carrying a filigree product written “Mardin” on it and showing it to other people.